You Need Great Heating and Air Conditioning Services? We Provide it 24 Hours 365 Days a Year! We are a local New Jersey (NJ) air conditioning and heating installation and repair company that provides same day air condition repair and heating repair in NJ. For over 20 years we have maintained heating and cooling systems and provided quality heating and AC and boiler repair & furnace repair services for NJ residential and commercial use. We serve NJ residential and commercial properties all over NJ, including Bergen County New Jersey, Hudson County New Jersey, Union County New Jersey, Passaic County New Jersey, Essex County New Jersey and Morris County New Jersey. Professional NJ ac repair and heating repair is what we provide every day in New Jersey to help you stay comfortable in your home and your business. We offer 24 hour a day emergency air conditioner repairs in NJ or emergency heating repair; we will stop by immediately day or night to get your problem fixed and your home or business comfortable again. For emergency air condition repair, or heat repair services in NJ please contact us 24 hours a day and we would be happy to serve you with any residential/home central system or commercial or HVAC maintenance and service replacement. Installation and repair for any emergency day or night weekend and holiday we’re here to serve you. On a hot summer day in NJ and you need your central air repair in NJ, there’s no time to waste. Our team of trained HVAC technicians is highly experienced and ready to tackle any problems you are having with your NJ central air systems. We will get your NJ home or business back to a comfortable temperature at an affordable price. In NJ winter’s can get very cold and having a working furnace can be critical. If your furnace stops working at any time of the day or night you can call us immediately for furnace repair in NJ. 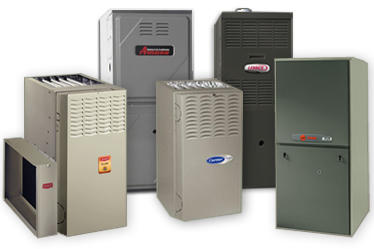 We have experience repairing all types of furnaces, gas and electric and can have a knowledgeable repairman at your door within a few hours. We offer quality affordable NJ boiler repair services on all brands of commercial and residential boilers. If you have a leaky boiler or your boiler suddenly broke down, give us a call and we can have one of professional plumbing technicians stop by and fix the problem right away. Air condition repair is usually not something you worry about until you turn your unit on on a hot NJ summer day and your air conditioning suddenly breaks down and you need a NJ air conditioning repair company to get your unit back up and running fast. We provide same day emergency air conditioning repair in NJ. We answer the phone 24 hours a day 7 days a week and are ready to send a qualified technician to your door to complete your NJ air conditioning repair today. Need to upgrade your air conditioner? We can install a more modern energy-efficient HVAC system that will cool your home well and even save you money on your electric bill. We have experience with all leading air conditioning and HVAC brands. Call us today to discuss options for replacing your existing air conditioning system. Our air condition repair technicians have helped many NJ commercial buildings and NJ retail establishments troubleshoot and repair their air condition systems quickly and affordably. We have the experience necessary to properly repair your commercial air conditioner or HVAC system.